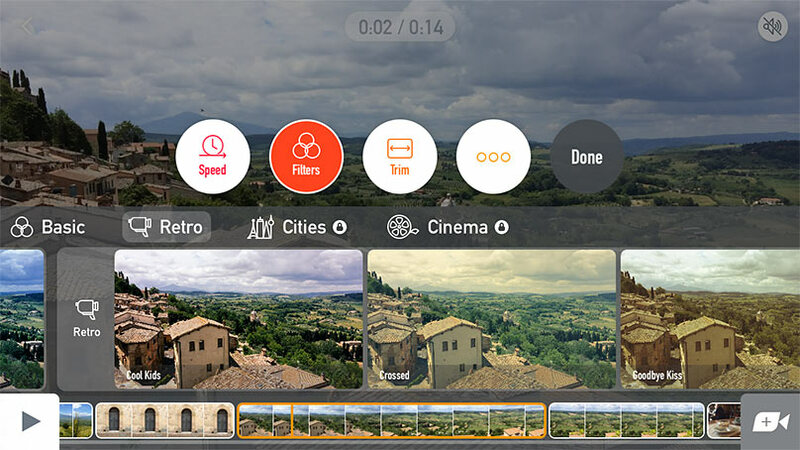 Vee brings together shooting and editing, making it easy to capture and share life’s moments. trim, adjust speed, and add filters. 1080p Full HD. 16:9 widescreen. Up to 240fps. With multiple clips you tell a story. 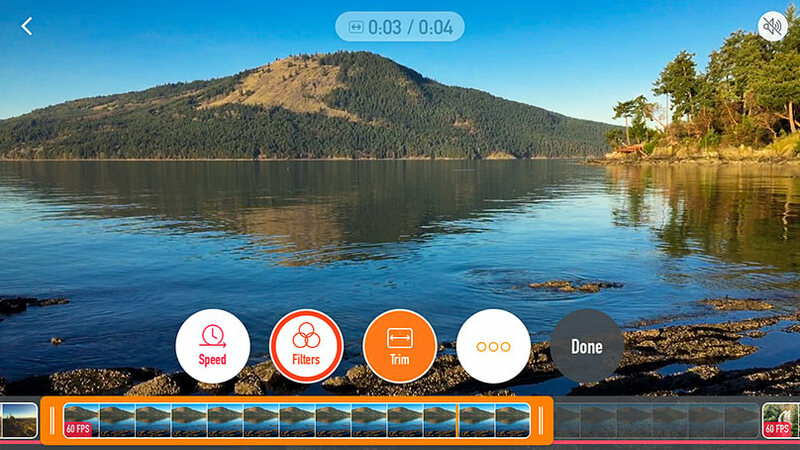 With Vee you shoot clips and they add to your video’s timeline. You can then reorder, trim, adjust speed, and add filters to them. 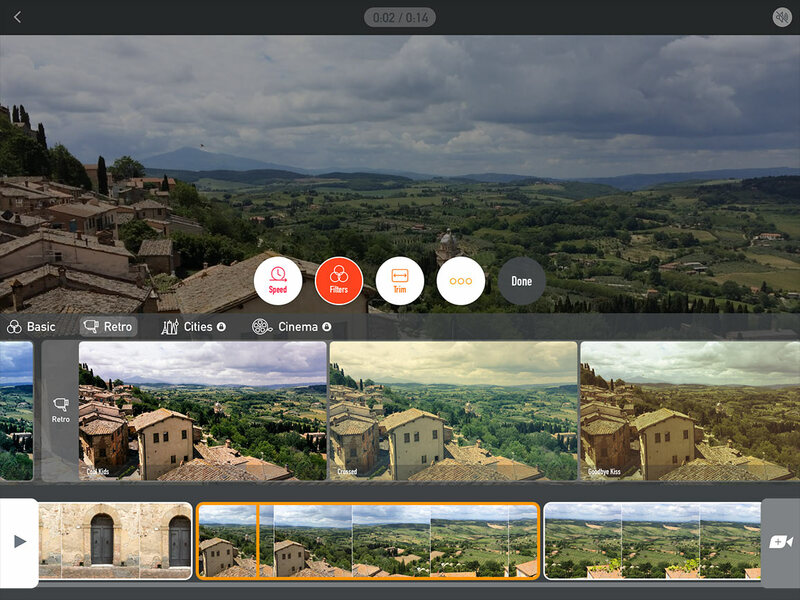 And you can just keep on shooting — you shoot and edit from the same screen. Vee uses your device’s sensors to eliminate camera wobble. Your viewers will thank you. On the iPhone 6 and 6 Plus we also have a PRO stabilization mode. You have to see this to believe it, it’s like your phone is on rails! Sometimes you say something in a video you later regret. With Vee you can add a soundtrack to your video by picking a track from your iTunes library. You can control the mix with your video, so you can choose between blaring soundtrack, background music, or anything in between. Can you say stop motion? With ghost you get a ghostly image of your last frame when you’re shooting, so you can line up the next shot. Think outside the box and use it to keep foreground elements in the same spot while the background changes. With Vee you can share to all of your favourite services. We do something really special here too. Rather than having to wait while Vee exports your video, you can switch to another app and Vee will keep on in the background. Then when it’s done, Vee uploads in the background too.